Composed by Various. Edited by Marilyn Mason. Non Hymn-Based, Recital Music, Compilations. Good Shepherd Sunday, Christmas. Collection. MorningStar Music Publishers #10-992. Published by MorningStar Music Publishers (MN.10-992). 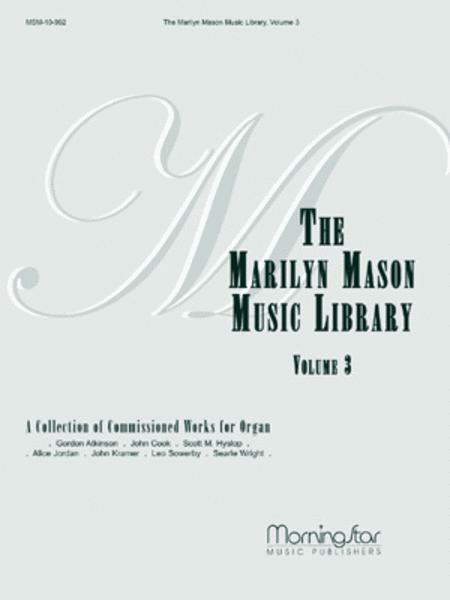 Marilyn Mason, longtime organ professor at the University of Michigan, is well known as a great supporter of the art of organ composition. Throughout her tenure, she has commissioned numerous composers to write for her. These volumes are a collection of those compositions and represent the work of some of the best composers in the country. 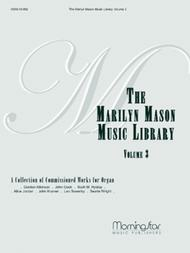 Volume 3 Includes: Celebration by Gordon Atkinson Introduction, Passacaglia, and Fugue by Searle Wright Bright, Blithe and Brisk by Leo Sowerby Chorale Partita on Greensleeves by John Kramer Seven Versets for Organ on the Magnificat by Scott M. Hyslop Flourish and Fugue by John Cook Beside Still Waters (Psalm 23) based on CRIMOND by Alice Jordan Part of the Marilyn Mason Music Library Series. .